The Academy of Country Music will bring numerous stars to Vegas for its fourth ACM Party For A Cause, slated for April 1-3, 2016 at the Las Vegas Festival Grounds on the Strip. Full-set performances will include headliners Carrie Underwood (Friday, April 1), Dierks Bentley (Saturday, April 2) and Kenny Chesney (Sunday, April 3). Additional performers include Frankie Ballard, Kelsea Ballerini, Lee Brice, Cam, Sam Hunt, Chris Janson, Dustin Lynch, Kip Moore, Kellie Pickler, Chris Stapleton, Chris Young, Maddie & Tae, Old Dominion and more to be announced. The Party Stage will feature more hit makers and rising stars including Lauren Alaina, Kelleigh Bannen, Chase Bryant, Lindsay Ell, Jana Kramer, Chris Lane, Jackson Michelson, Granger Smith, Brothers Osborne , with more artists to be announced soon. Underwood is also slated to host a special “ACM Women of Country Night.” More details on the evening will be announced soon. 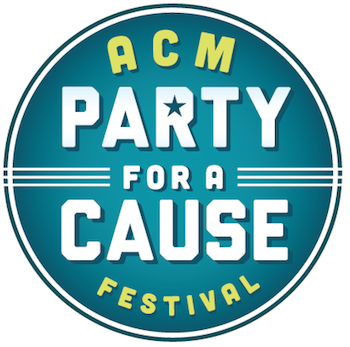 Ticket proceeds from the ACM Party For A Cause Festival benefit the Academy’s charitable arm, ACM Lifting Lives. Generous giving from fans, and partnerships with artists, has allowed ACM Lifting Lives to support military programs that use music therapy to aid our veterans and wounded warriors, while providing funding to help them ease back into civilian life. Over $400,000 has been donated to various military organizations in just three years. Three-day passes are on sale now at www.ticketmaster.com.